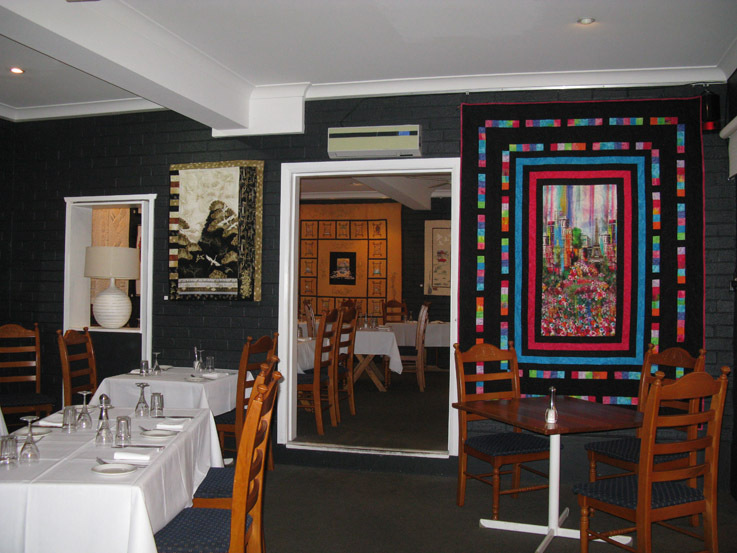 A view of the two large linked dining rooms where artwork being exhibited is displayed around the walls. 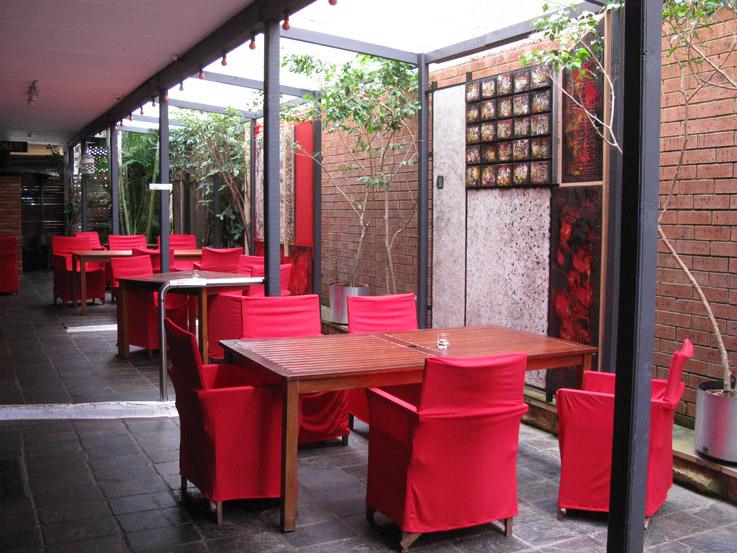 The spacious outdoor eating area which is perfect on a warm evening featuring some of Shorethyme’s owner Chris’s own artwork, being a very talented artist himself. 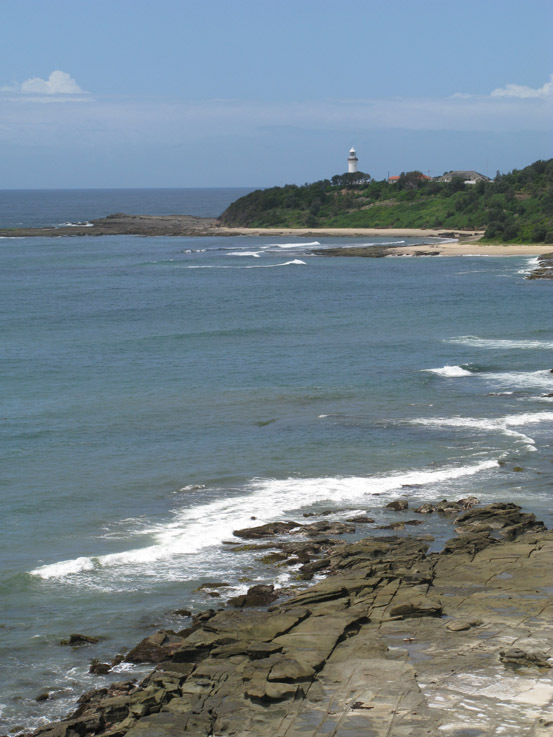 A view down the coast of the well-known lighthouse at Norah Head. 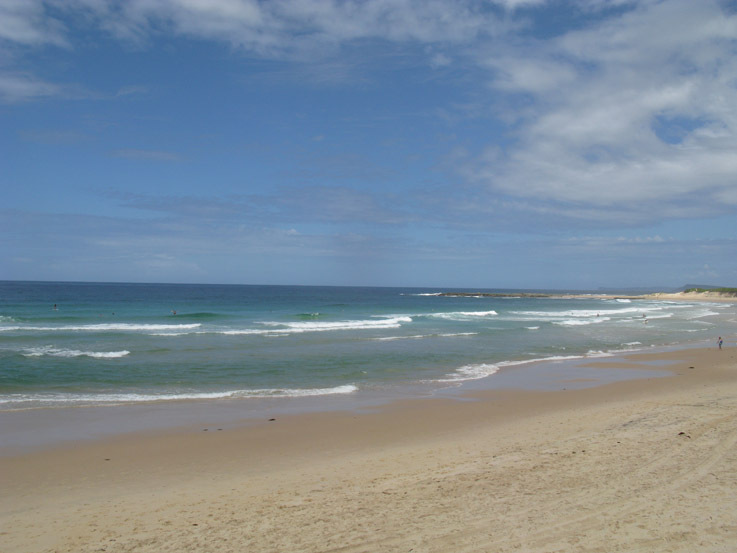 Last Wednesday was the perfect summer’s day to take some photos of Soldiers Beach.